Recognize opposite signs of numbers as indicating locations on opposite sides of 0 on the number line; recognize that the opposite of the opposite of a number is the number itself, e.g., -(-3) = 3, and that 0 is its own opposite. What is the Number Line? 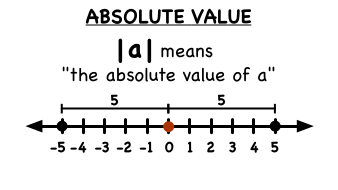 A number line is a way we can visually represent numbers. This tutorial gives you a great introduction to the number line and shows you how to graph numbers on the number line in order to compare them. Check it out!